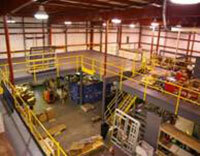 We promise to listen intently to your mezzanine needs. 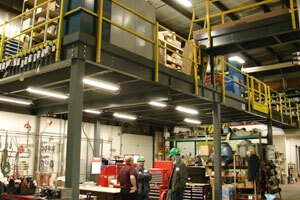 We promise to ask detailed questions to fully understand your unique mezzanine requirements. We promise a team approach. 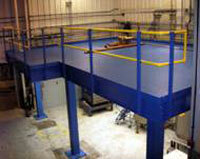 We will work with you to design a cost efficient mezzanine design. 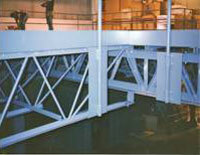 We promise we will then provide the complete engineering and fabrication of your new heavy duty steel Mezzanine structure. 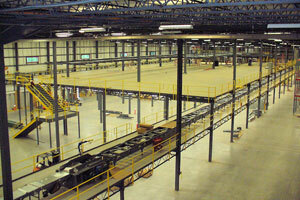 We promise to deliver your mezzanine structure on time. A partial list of other customers we have made and kept this promise to include: The U.S. ARMY, the U.S. NAVY, The U.S. Coast Guard, NASA, FEMA, The U.S. Postal Service, The Colgate Co., Wal-Mart, The Timken Co., Murphy Phoenix Co,, Rockwell International, Allen Bradley Co., LTV Steel Co., Georgia Pacific, Weyerhaeuser, Robeck Fluid Power., Yamaha., Harley Davidson Co., Shell Oil Co., Henkle Loctite Corp., Alpha Micron, Hitachi Corp., Royal Appliance, Honda, Aircraft Braking Systems Corp., Edgeseal Corp., Lucas Corp., Cast Nylon Corp., The Crawford Co., Research Organics Corp., Curtiss Wright Co., Nexpack Corp., Cobra Plastic Co., Automated Packaging Systems Corp., Heinz, DayGlo Color Corp., Steer Corp., HC Stark Corp., General Electric, Saint-Gobain Corp., GoJo Ind., Biery Cheese, Air Force One, Summit Racing Supply, Christopher Tool, Leggett & Platt, Benjamin Moore, Revlis Corp., Alcoa Corp., General Mills Corp., Load King Corp., Akro Mils Corp., Ben Venue Laboratories Inc., Venture Lighting Corporation, and Metaldyne. 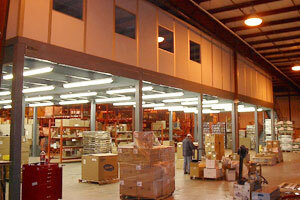 With over 16 years in business, this list of satisfied customers can fill several pages.